The ultramarathons I’ve entered this year have mandatory equipment I’ll need to carry. Things like waterproof layers, mobile phone, fleece, sun screen, head torch, spare batteries, spare socks, etc. I’ll also need to carry nutrition and fluids. I own a 3 litre camelbak and although it can accommodate some items, it’s not going to have enough capacity to carry this amount of stuff. Up to now I have worn the camelbak and waist pack – far from ideal. So I’ve been researching alternatives. When I came across the new series of signature series vests from Ultimate Direction, designed by ultra runners I was very interested. They were to launch one that had been designed by Anton Krupicka, one from Scott Jurek and another by Peter Bakwin. They vary in capacity with Anton’s the smallest and Peter’s the largest. All three carry 2 bottles at the front of the vest. 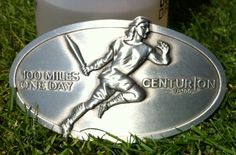 I preordered from Centurion Running and it arrived today. I filled the 2 bottles and went for a 5 mile run to give it a test. I ordered a size large and the fit initially seemed very comfortable. One thing I noticed straight away is the sound of the water sloshing around. With a camelbak it’s possible to remove the air by turning it upside down and sucking out the air, which really limits the sloshing noise. I guess I got used to the noise after a while. The benefit of bottles over a bladder solution, is that it will allow me to keep a closer eye on how much I have left. I’ll also be able to carry water in 1 bottle and something else in the other. There’s a pocket designed to carry a mobile phone. And my iPhone was able to just about fit inside this pocket, but the pocket isn’t waterproof and so I’d be hesitant to put the phone in there and risk rainfall. After my run my ribs were a bit bruised from the bottles bouncing against them. I think in hindsight I had the chest straps done up too tight, which meant the bottles sat too far in front. I’m going to give the vest another test soon with the straps looser, so that the bottles are more to the side. I’ll update this post with my findings. Zipped pockets that sit under the back compartment, over your kidneys – you’d need to take the vest off to get to items stored here. So could be used for items like cold weather layers. One nice touch I noticed when taking photos of the vest is part of the tying system on the back is reflective. 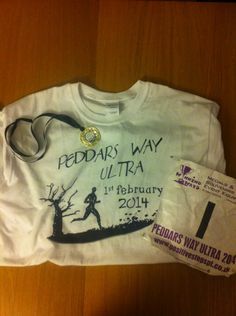 So far I’m really pleased with the vest, but the true test will come when I run my first ultra in it. My next event is 3 weeks away, after that I’ll post another update with how I got on with it. 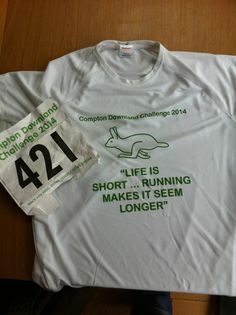 I wore this vest on training runs and the Compton Downland 40 miler. I’ve learned to love the vest. It fits really well when the back compartment is fairly full. I barely noticed I was wearing it or the sloshing noise during the event. I’ve found that the zipped side pockets are accessible without taking the vest off, it’s just a bit fiddly.